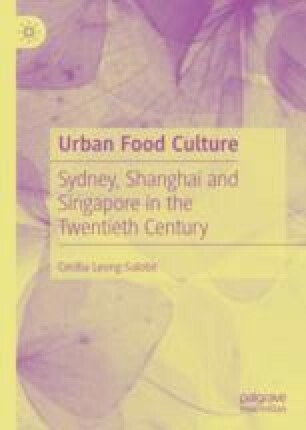 This chapter considers the food history of Sydney from its European settlers and its migrant intake of a diverse range of people. Australians travelling overseas from the 1960s brought back new ways of cooking and eating from Asia and Europe. Quality produce from the oceans and waterways, harvests from the land, numerous innovative chefs and a sophisticated dining public ensured that the city offered a wide spectrum of eating-out venues. The chapter challenges the myth that Australian’s modern and light cuisine is the result of migration. It contends that while migrant restaurateurs did contribute towards this, individual Australian chefs were the significant players in the realm of creating the fine dining culture in Sydney towards the end of the twentieth century. Life on the goldfields. http://www.dpi.nsw.gov.au/__data/assets/pdf_file/0009/109917/life-on-the-goldfields-living-there.pdf. Accessed 25 Apr 2018. ———. http://www.smh.com.au/national/end-of-an-era-as-developers-move-into-spanish-quarter-20090417-aa7k.html. Accessed 1 Dec 2017. Timbs, Gladys, and Stephen Rapley. NSW Council on the Ageing; Oral History Association of Australia, NSW Branch, NSW Bicentennial Oral History Project. National Library of Australia. Sound recording, 20 May 1987. https://catalogue.nla.gov.au/Record/565641?lookfor=gladys%20timbs&offset=1&max=1. Accessed 3 May 2018. ———. 2013b. Cookbooks for Making History: As Sources for Historians and as Records of the Past. M/C Journal 16 (3). http://www.journal.media-culture.org.au/index.php/mcjournal/article/view/717.